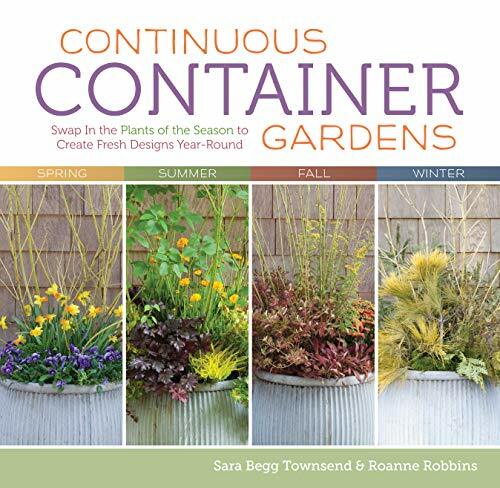 In "Continuous Container Gardens", garden designers Sara Begg Townsend and Roanne Robbins have teamed up to offer an innovative system for creating stylish containers that change with the seasons. Using an unusual array of plants, Townsend and Robbins begin with a main-stage plant -a woody plant, a garden ornament, or an eye-catching perennial. Then they add a secondary player for texture and variety. As the seasons change, they show how easy it is to swap in and out a supporting cast of plants for a dynamic year-round display. This simple approach yields endless variations, seasonal bursts of color, and varied textures that echo the ever-changing beauty of nature. The book features twelve designer containers, each with a unique plan for swapping plants in every season...for a total of 48 looks in all. Each design is supported with stunning photo- graphs of the authors' unique plant palette and the fully realized container garden. Users will learn to develop their own design eye and style alongside their gardening skills. The authors' writing style is fresh, friendly, and encouraging and is sure to appeal to a new generation of homeowners and gardeners. With "Continuous Container Gardens", gardeners of every level, in every setting, will be able to create a container scene for every season. Bring your containers to gorgeous year-round life with twelve miniature garden plans designed to be as appealing in January as they are in July. Begin with a dramatic main-stage plant, swap supporting players in and out throughout the year, adn enjoy the beauty of nature contained.